Have you ever thought about making some improvements to the appearance of your smile, but felt unsure about your options? Here at Verma Cosmetic & Family Dentistry we are experts at many cosmetic dental procedures. We are happy to answer any questions you may have about your different options in cosmetic dentistry. We can create a dental plan that will give you the smile you desire and fit into your budget at the same time. While traditional dentistry addresses the health of your teeth and gums, cosmetic dentistry deals with the appearance of your teeth, mouth and smile. Cosmetic dentistry has been around for many years, but the materials used today are much more durable and natural looking than those used in the past. Teeth Whitening or bleaching, whitens and brightens teeth that have become stained or discolored. Veneers are thin, porcelain shells that cover the front surface of a tooth. Tooth colored fillings are used to improve the appearance of teeth that are chipped, broken, cracked, or stained. Composite, or tooth colored fillings, are also used when a cavity is filled and to replace old silver amalgam fillings. Crown lengthening and gum recontouring procedures. This treats a “gummy” smile, where more gums than teeth are visible. Or to improve an uneven gum line by removing excess gum tissue to expose more of the tooth. This involves minor oral surgery. Crowns can correct the appearance of broken or cracked teeth, teeth with large fillings or deep discoloration. Bridges, implants, or dentures to replace one or more missing teeth. How do I know which procedures are best for me? Having an evaluation is the first step in determining which procedures will best achieve your desired results. Sometimes a single procedure, like teeth whitening, offers the results you are looking for. Depending on your unique situation and desired results, you may opt for multiple treatments and a complete “smile makeover”. Will cosmetic procedures improve my oral health? Although most cosmetic dental procedures are elective, rather than essential, some cosmetic procedures offer restorative benefits as well. For example, crowns and veneers can cover damaged teeth and prevent further damage from occurring. Tooth colored fillings, called composite resin fillings, are used to fill a tooth that has decay, or a cavity. 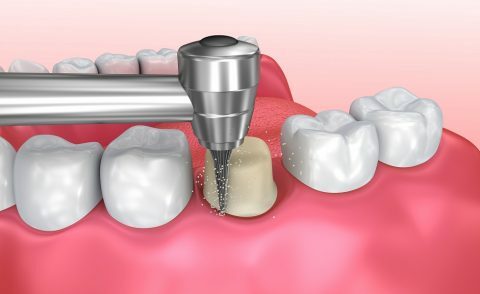 They are also used to replace old silver amalgam fillings. Orthodontic procedures straighten teeth, improving your bite as well as eliminating odd spaces between crooked teeth that are often prone to decay. 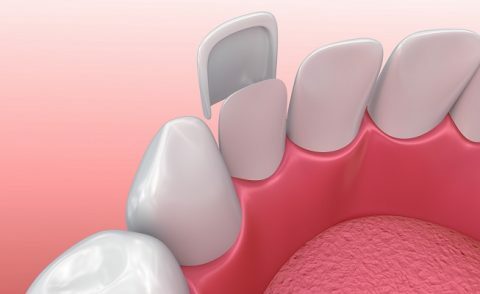 Replacing missing teeth with implants and bridges will prevent the surrounding teeth from drifting into the open space of a missing tooth, thus preserving the correct bite. Implants will also prevent bone loss in the area of a missing tooth. Implants and bridges also prevent a sunken in look from occurring in your cheeks in the area of missing a tooth or teeth. Teeth whitening, or bleaching, is one of the most often requested cosmetic dental procedures. It offers a quick and cost effective way to update your look with a brighter and whiter smile. Professional teeth whitening uses a special light activated gel that is applied to the front surface of your teeth. This removes stains and yellowing in just under an hour, providing more consistent and longer lasting results than over the counter bleaching products sold at the drugstore. At Verma Cosmetic & Family Dentistry we offer Zoom! Advanced Power in-office tooth whitening, which can transform your teeth making them up to 8 shades lighter in as little as 45 minutes. No messy trays to wear. Treatment can be done during your lunch break. We also offer a take-home bleaching system as well. 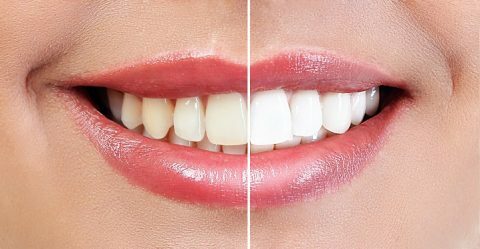 If you prefer to lighten and brighten your smile in the comfort of your own home, we will take impressions of your teeth and create your own personal bleaching tray. You will be given the bleaching materials to take home with instructions for you to follow. Your compliance and diligence with wearing the trays as instructed are required to get the results you desire. Please call Verma Cosmetic & Family Dentistry and ask about our bleaching specials today! Porcelain veneers can redesign your smile. They have often been referred to as “Hollywood teeth”. Veneers can close gaps between teeth, restore small or misshapen teeth to a more natural shape, or cover deeply stained teeth. If your teeth are chipped or showing signs of wear, veneers can protect them from further damage while restoring them to a beautiful and natural appearance. Here at Verma Cosmetic & Family Dentistry we have advanced training in the use of Lumineers porcelain veneers. These ultra thin veneers are custom made to the exact color and shape specifications for your unique smile. Call our office today and find out how we can create the smile you’ve always dreamed of. A crown fits over the entire tooth above the gum line, restoring a tooth’s shape, size, strength and appearance. Crowns are used to protect and preserve a cracked tooth, a tooth with a large filling or a previous root canal. Crowns can also be used cosmetically to cover misshapen or severely discolored teeth. The ability to match your natural tooth color and translucence with a porcelain crown makes it a wonderful choice for restorations. 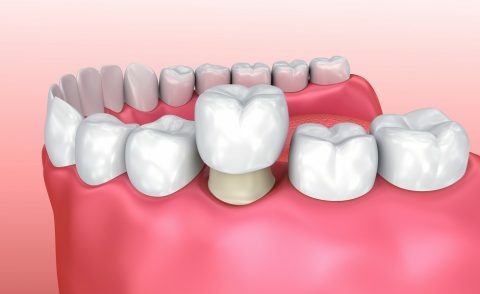 If you are having implants to replace a missing tooth or teeth, a crown will be part of that process. The crown sits on top of the implant once it has bonded with the bone in your jaw. Please feel free to contact our friendly staff to discuss any questions or concerns you may have about any of the cosmetic dental procedures we offer here at Verma Cosmetic & Family Dentistry.